Epidural steroid injections, or ESIs, is an area of specialty at Minneapolis Vein Center. Men and women from Plymouth, Minnesota, as well as Minneapolis, St. Paul, and western Wisconsin trust the facility’s doctors to perform these injections to treat various types of pain. If you’ve been learning to adjust your lifestyle to accommodate ongoing pain, you should know that a combination of ESI and physical therapy provides a safe and effective treatment option. Schedule a consultation at Minneapolis Vein Center using the online tool, and talk to your doctor to learn whether an epidural steroid injection is right for you. Epidural steroid injections, or ESIs, are a non-surgical treatment option for neck or back pain. While the effects of these injections are temporary, they can provide the relief you need to complete a physical therapy or rehabilitation program. Epidural steroid injections work by delivering anti-inflammatory medication directly to the source of inflammation. That helps relieve the pressure on nearby nerves, which reduces pain. ESIs can also relieve radicular pain, which radiates from a pinched nerve and affects other areas of your body. Steroid medications serve two functions: reducing inflammation at the point of injury and suppressing your body’s immune response in the affected area. What happens during epidural steroid injections? This process begins with a local anesthetic to numb the treatment area. 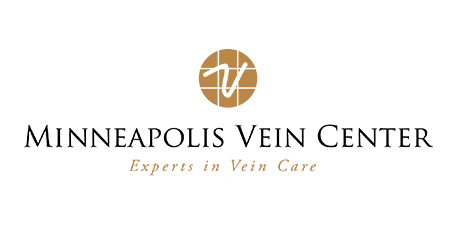 In some cases, the Minneapolis Vein Center doctors advise sedation to keep you comfortable during the procedure. Fluoroscopy and X-ray imaging allows your Vein Center provider to “see” the needle used to complete the injection. Once the needle is in the proper position, she injects a steroid solution to the site where your pain originates. The procedure takes as little as 15-30 minutes, followed by a brief observation period. You might be numb for up to 12 hours after the procedure, and it could take anywhere from 48 hours up to a week for the medication to reach its full effect. If the effects of ESI are temporary, why are these injections recommended? The Minneapolis Vein Center team recommends epidural steroid injections to address serious back or neck pain. An episode of severe back pain can be debilitating, and these injections can provide immediate pain relief. Epidural steroid injections also provide pain relief that lasts throughout your physical rehabilitation process. Physical therapy involves moving through a range of exercises and stretches to help you return to optimal function. Those exertions can be nearly unbearable in the early stages of therapy, even though they’re essential to your healing progress. ESIs allow you to move through physical therapy with reduced pain as you simultaneously work to heal and recover from injury or a surgical procedure. If you have questions about back or neck pain or would like to learn more about epidural steroid injections, schedule a consultation at Minneapolis Vein Center today.